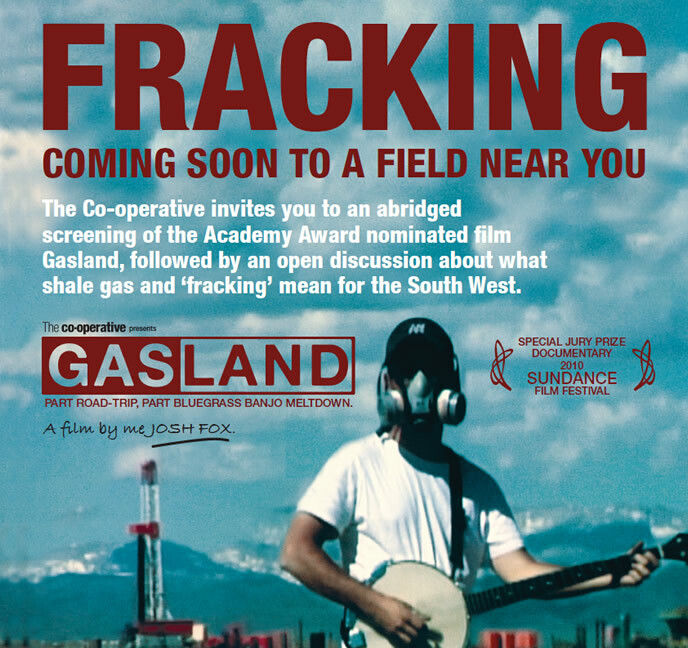 The Co-operative invites Dorset Energized users to a FREE screening of the Academy Award nominated film Gasland, followed by an open discussion about what shale gas and ‘fracking’ means for the South West. Food and drink will be provided on arrival. Gasland reveals the shocking story of the environmental and health impacts of shale gas extraction in the US. When filmmaker Josh Fox is asked to lease his land for drilling, he embarks on a cross-country odyssey uncovering a trail of secrets, lies and contamination. The Government has recently given ‘fracking’ the go ahead, despite earthquakes linked to the practice in Lancashire and the risk of water contamination. Now Somerset and Dorset may see the extraction of shale gas through this controversial practice. Find out more at this event. Book online at www.s.coop/sweventss or call 01884 266892.